The Gerringong Mens’ Shed has scored a early trifecta. Hot on the heels of the unveiling of its first project for a local community group came the news Council is supportive of it lodging a DA for a new shed, and that Fulton Hogan has offered to donate a surplus 12x12m shed to them. Until now, the Mens’ Shed has been based in a small room that is impractical for the work they want to do. The new shed will be located in the Cronin’s Oval precinct, near the carpark. 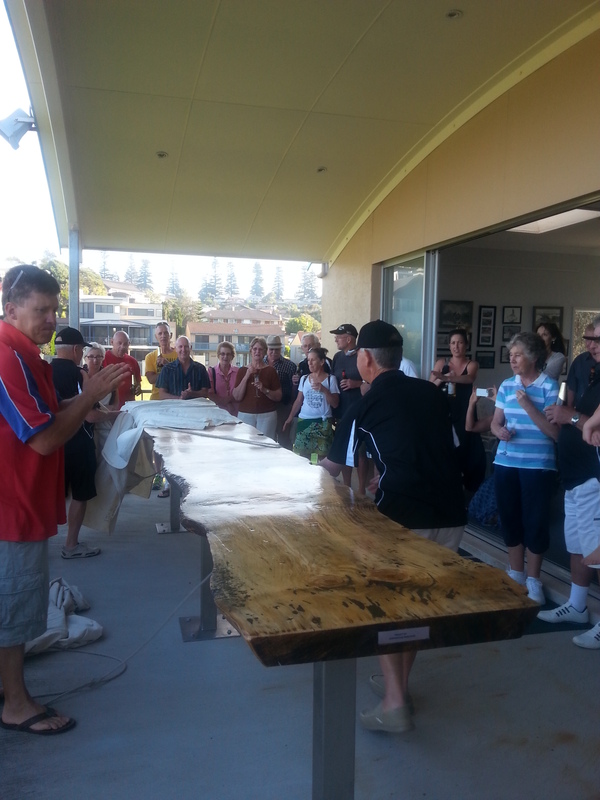 Gerringong Surf Club is the first beneficiary of the Mens’ Shed skills and effort. When given an old 4 metre slab of Norfolk pine by Max Wood & Son Builders, they turned to the local Mens’ Shed to make it into a bar for their verandah overlooking Werri. ← Can Kiama remain independent?